January has sure flown bye, but Palisade Rec has a lot in store for February. Check out the complete recreation schedule in the Winter/Spring 2017 Guide, which is available at Town Hall, Palisade Chamber, Palisade Library, Clifton Branch, Central Branch, and OM Branch Library or you can download the digital copy online http://www.townofpalisade.org/images/Recreation/Rec_Guide/Winter_Spring_2017_2.pdf . Group Fitness: All fitness classes are held at the Palisade Community Center and are open to adults and youth ages 14 and over. Check out our weekly class schedule below. Wine & Yoga (must be 21+): Grab your friends and enjoy a little mid-week stress relief with the first Yoga & Wine session on Wednesday, Feb 8th at 5:30 PM at St. Kathryn Cellars. All participants will receive an hour yoga, glass of wine, refreshments, and 15% discount on bottled wine sales. Don’t miss the Early Bird rate of $16.00, enroll by Feb 1st at 4:30 PM. Call 464-5602 to register. NIA Weekend Workshops: Join us for a monthly weekend fitness workshop with NIA classes, which combine dance, yoga, and martial arts for a low-impact total body workout. The next session will be held on Saturday, Feb 18th at 9:00 AM. Registration is $8.00 per class or $20.00 for three classes ( Feb 18, March 18, & April 15). Open Gym: Drop in for a game of basketball or shoot some hoops every Monday & Wednesdays from 5:30 PM-7:30 PM at the Palisade Gym. Admission is $2.00 for youth and $3.00 for adults. Indoor Pickleball: Drop in for indoor play every Wednesday from 8:30 AM-10:30 AM at the Palisade Gym Jan-April. Admission is $3.00 for adults and $2.00 for seniors (60+). Strider Camp (Ages 2-4): Tots can stay active and learn the basics of biking and bike safety from balance, leaning, steering, and rules of the road. Camp will run on Wednesdays at 10:45 AM at the Palisade Gym from Feb 15-March 8. Registration is $18.00 per child (with their own gear) or $24.00 for kids needing to rent equipment. Register by Feb 2nd. Valentine’s Day Party (3-6): Tots and parents are invited to a fun holiday party on Friday, Feb 10th from 10:00 AM-11:30 AM at the Palisade Community Center. Participants will learn about the history of Valentine’s Day with stories, play holiday themed games, make crafts, and enjoy cupcakes. Registration is $5.00 per child, parents are free; enroll by Feb 8th. 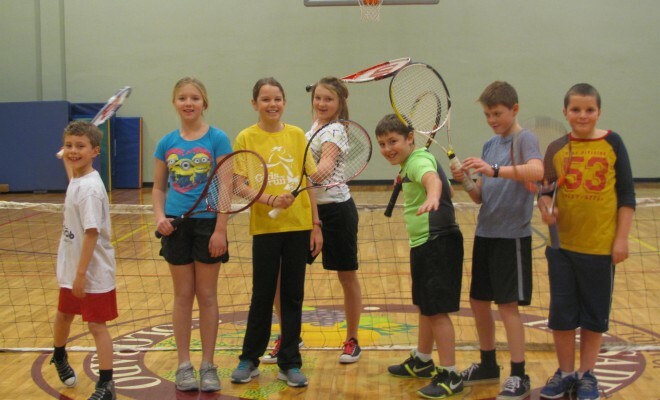 Wacky Sports (ages 5-10): Kids can stay active with broom ball, balloon volleyball, badminton, and capture the flag every Thursday Feb 2nd-Feb 23rd at the Palisade Gymnasium. Rec staff will meet Taylor students after school at 3:50 PM and walk to the program, all other participants can meet at the gym at 4:15 PM, and the program will end at 5:30 PM. Registration is $24.00 per child, enroll by Jan 31st. Making Reading Fun (Ages 4-6): Children can become better readers through story time, interactive games, and an opportunity to act out the story line. Join us every Tuesday 4:00 PM-5:00 PM from Feb 7-Feb 28 at the Palisade Community Center. Registration is $16.00 for one child or $24.00 for two children; enroll by Feb 1st. Karate Session 2 (Ages 5-12): The next round of youth karate will start the week of Jan 31st. Tuesday/Thursday classes will run Jan 31-Feb 23 at 5:30 PM and are $40.00 for the session. Unfortunately, Wednesday classes are full at this time, but participants may still enroll in the one-day a week program at $25.00, and opt for Tuesdays or Thursdays. All classes are held at the Karate Studio on Troyer Ave. Call 464-5602 to register by 12:00 PM on Jan 31st. Gray Gourmet: Meet new friends or catch up with old friends each week at the Gray Gourmet meal, every Tuesday at the Palisade Community Center. Doors open at 11:00 AM and the meal is served at 12:00 PM. Participants are welcome to come at 11:30 AM for dominos or cards. Advanced reservation is required, to reserve a seat call 243-9844 X 1. Join Palisade Rec on Feb 7th for Basic Fitness at 11:30 AM. The group with do 15-20 minutes of low impact exercises and stretching that will help to improve balance and flexibility. Adult Coloring: Looking for a Creative Escape or maybe a chance to catch up with friends? Join Palisade Rec on Thursday, Feb 9th for Adult Coloring at 11:30 AM in the Palisade Community Center. We will have a variety of Valentine’s themed coloring sheets and the supplies. Registration is $1.00 and it includes hot tea. RSVP by Feb 10th. Fairy Gardens: The January DIY class has been postponed to February. Build your own Fairy Garden for your home complete with succulents and tiny furniture and houses on Thursday, Feb 16th at 12:00 PM at the Community Center. Bring your own decorative container and Palisade Rec will supply succulents, soil, and an assortment of craft supplies to build your own fairy accessories. Registration is $16.00, enroll by Feb 8th. Tile Painting: Please help PHS art students to raise funds for the skate park and register for the next Tile Painting class on Tuesday, Feb 21st at 6:00 PM. All tiles painted will later be incorporated into the design of the park. Registration is $30.00, enroll by Feb 15th. All proceeds go to the Skate Park Project. Youth ages 12 and older are also invited to paint tiles. Snowshoe Outing: Let’s play in the snow and enjoy a 3.5 mile moderate snowshoe outing at Waterdog Reservoir on Monday, Feb 13th. The group will meet at Palisade Town Hall at 8:30 AM and take the shuttle up to the Grand Mesa. Participants should bring their own snowshoes or x-country skies, dress in layers, pack water, snacks, and extra money for the hot chocolate stop on the return trip. Registration is $5.00 per person and it includes transportation; enroll by Feb 9th. Dogs Welcome! GET OUT & PLAY IN PALISADE!